The Bharatiya Janata Party (BJP) on Monday said not a single loan given under Prime Minister Narendra Modi's rule has become a non-performing asset (NPA). 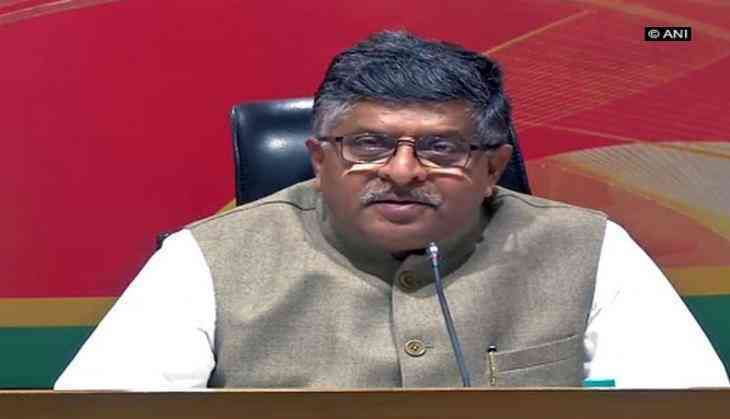 Addressing a press conference here, Union Law Minister Ravi Shankar Prasad said, "These days the Congress has been asking too many questions about the NPAs. We have categorically said that not a single loan given under our rule has become NPA." Presenting figures, the Union Minister further stated that the NPAs increased manifold under the Congress-led United Progressive Alliance (UPA) government. "In 2008, the total advance given by the banks was Rs. 18.6 lakh crore. During the subsequent six-year rule of the UPA till March 2014, it rose to Rs. 52.15 lakh crore. Out of these advances, 36 percent loans were identified as stressed assets. Now, the stressed asset has risen to 82 percent out of that advances made in the UPA government," Prasad said. "There was one economist prime minister (Dr. Manmohan Singh) and one super economist was his finance minister (P. Chidambaram). The truth is that on the one hand, there was no NPA during Prime Minister Modi's rule; and on the other hand, advances increased but did not reflect in records under the UPA rule. As a result, the stressed asset of 36 percent actually became 82 percent," Prasad added. He also said that entire banking system in India went haywire under former Prime Minister Dr Manmohan Singh's rule due to all kinds of interference in it. "The BJP would like to say with a full sense of responsibility that under the so-called economist Prime Minister Dr Manmohan Singh, the entire banking system was completely sought to be derailed because of interventions, patronage, and pressure, " Prasad said. The Union Minister said since Modi government came to power in 2014, the politics of confusion, fear and concoction is the basis of the Congress' campaign against it.